Maintaining a variety’s unique traits is vital in the practice of seed saving and isolation is one of three key facets (along with population size management and selection) that are needed to successfully save seeds that are true to type. Learn how to achieve the optimal isolation distances in your garden with these tips and insights. Isolation prevents unwanted cross-pollination and is the primary practice required to keep varieties true to type. Isolation begins with an understanding of the distance required to limit or eliminate chances of cross-pollination between two varieties of the same species. You can manage isolation through several methods: by distance, by timing of flowering, or by containment. Isolation by distance is the most reliable method, which involves providing enough distance between a variety and any sources of contaminating pollen to ensure that the variety remains true to type. The isolation distance required for effectively preventing cross-pollination depends largely on the mating system of a species and can range from 10 feet for primarily self-pollinating grains, such as oats, to several miles for cross-pollinating crops, such as spinach. Growing other flowering plants, such as this ornamental strawflower, between two varieties of the same species that are in bloom at the same time may distract pollinators and prevent them from traveling from one variety directly to the other, in effect minimizing unwanted cross-pollination. Unwanted pollen can come from various sources. Most commonly, it comes from other varieties of the same species being grown in close proximity—including plants in your own garden,in neighboring gardens, or on nearby farms. Another less frequent source of unwanted cross-pollination (though it can be significant for certain species) is pollen from wild plants—native or naturalized—of the same species or a species that is cross-compatible with the one being grown for seed. Keep in mind that plants exchange pollen only during flowering, and isolation is required only when two or more varieties are flowering at the same time. As a general rule, plants that primarily self-pollinate require less isolation distance, while plants that primarily cross-pollinate require greater distances. Wind-pollinated crops, such as spinach and beets, have very fine, lightweight pollen that is easily carried a great distance on air currents, often making the isolation distance for a wind-pollinated species quite long. Insect-pollinated crops may require somewhat less distance between varieties than wind-pollinated crops because insects often gather nectar and pollen within limited areas. Physical barriers and landscape features - such as buildings, stockade fences, tree lines, and shrub hedges - affect how pollen moves through the landscape and may hinder the flow of windborne pollen. They may also impact the travel patterns of insect pollinators. Some seed savers plant different varieties of the same species on opposite sides of their property, believing that if the two plants are not in view of each other, it is unlikely for an insect to travel between them without stopping along the way and randomly dispersing the pollen it is carrying. Additionally, dense plantings of nectar- and pollen-rich flowers growing between different varieties of the same species may distract pollinators and prevent them from making unwanted crosses. However, while barriers and distractions help minimize pollen dispersal within a garden, they are not guaranteed isolation methods. They only help to decrease the probability of unwanted cross-pollination and may allow for a reduction of isolation distances. Other factors that influence how widely pollen spreads (and the likelihood of cross-pollination) include prevailing wind direction, topography, size of plantings, and local insect populations. It is important to consider not only the overall placement of plants in the landscape in relation to other cross-compatible populations, but also the size of both populations. The more plants of a variety, the greater the likelihood that errant pollen, either carried on the wind or by a pollinator, will find its way into the population as a whole. Similarly, the more plants of the same species that are in the greater landscape - either as wild plants, in neighboring gardens, or in large stands of nearby agricultural fields - the more cross-compatible pollen there is to contend with and the greater the risk that unwanted cross-pollination will occur. 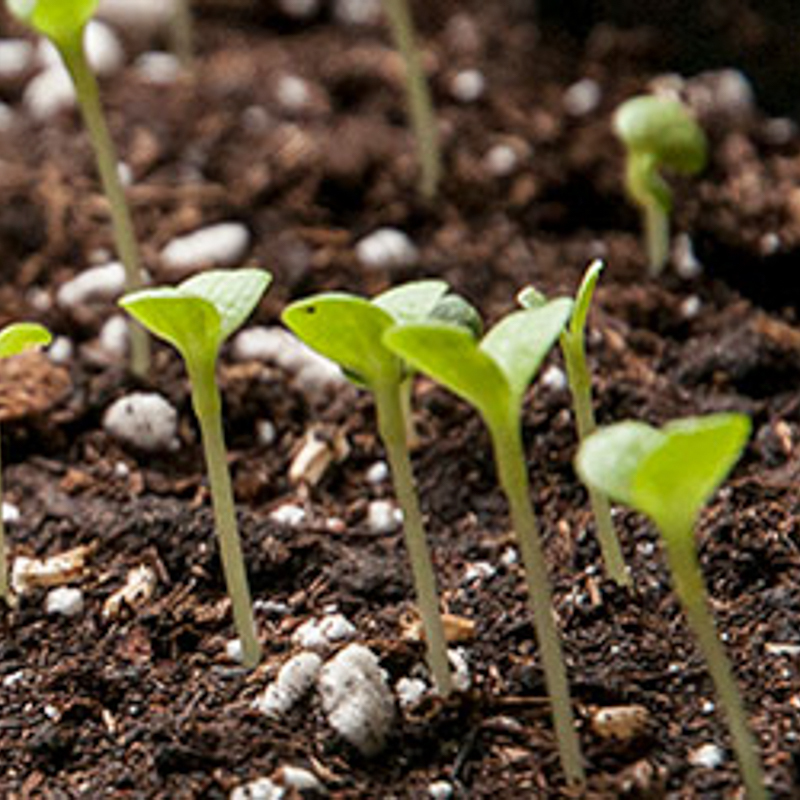 Commercial seed growers commonly isolate varieties by distance but, given the isolation distance required for some species, this may not be practical for home gardeners. However, seed savers often experiment with shorter isolation distances and, if the next generation of plants are not true to type, simply obtain new seeds. Often, isolation by distance can effectively be achieved by saving seeds from only one variety of a species at a time. If the crop is normally cultivated for its edible fruits or seeds, such as with melons, okra, or sunflowers, then saving seeds from one variety means growing only one variety. 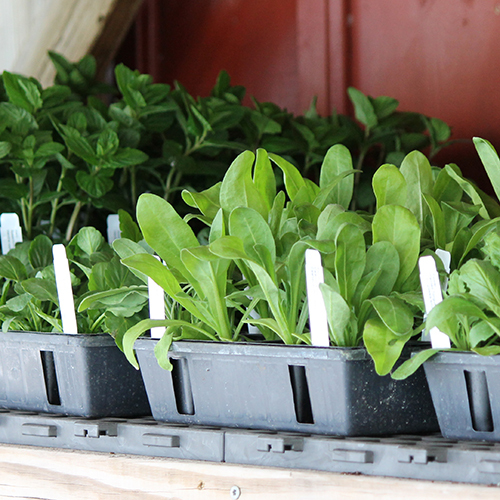 If the crop is typically harvested prior to entering the reproductive phase, such as with turnips or Swiss chard, multiple varieties can be grown in the same garden, provided measures are taken to ensure that only one variety is allowed to flower and set seeds. 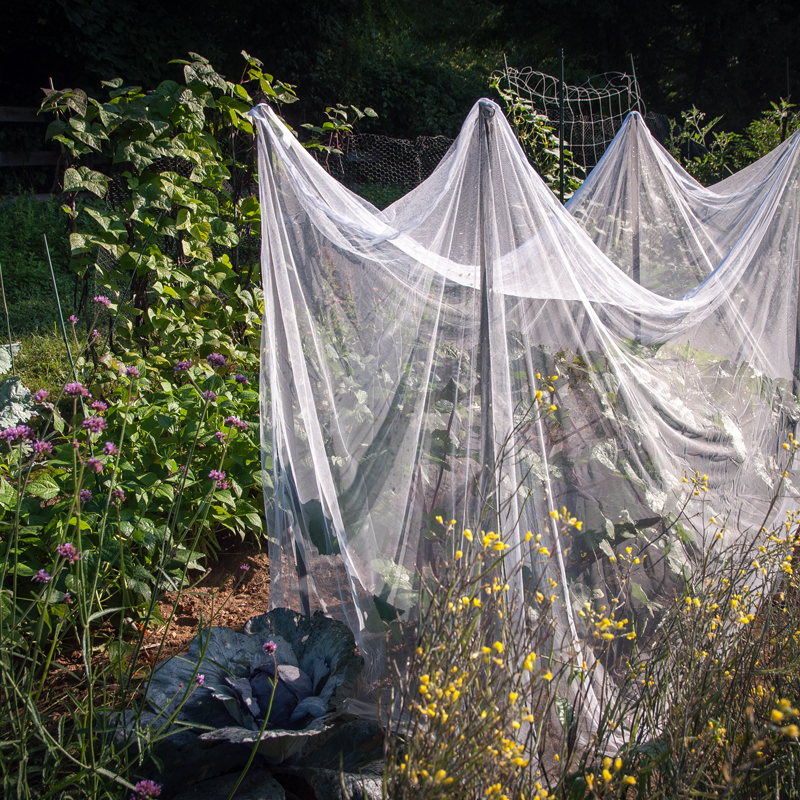 This approach assumes that contaminating pollen will not travel in from surrounding gardens or farms, and so is feasible only when gardeners can eliminate the possibility of unwanted cross-pollination with plants in neighboring gardens or the landscape. 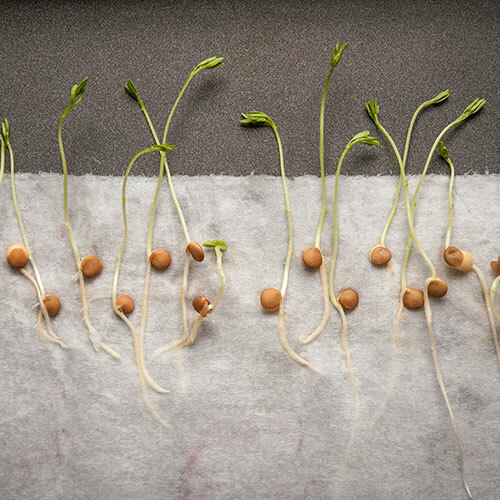 Given that the seeds of many vegetable species can remain viable for years, saving seeds from one variety within a species at a time is a reasonable approach. In other words, a favorite cabbage variety can be saved one season, and a broccoli cultivar the next. The isolation distances used by seed savers are often greatly reduced from distances used in commercial seed production. This reduction is based on two assumptions—that seed savers work with much smaller plant populations than those grown by commercial seed producers, and that home gardens have more physical barriers and distractions than agricultural landscapes. On occasion, isolation distance recommendations for seed savers are more stringent than commercial standards, as commercial growers may be tolerant of outcrossing between similar varieties, or they may implement other practices, such as not harvesting seeds from the outer edges of a planting. The recommendation for each species reflects a range of isolation distances used by seed savers to successfully produce true-to-type seeds in home gardens, although there is no guarantee that cross-pollination will be avoided even at the high end of the range. Every garden - and every planting - is different; the range of recommended isolation distances reflects the fact that environmental conditions, landscape features, pollinator populations, and sizes of plant populations all interact and influence how far pollen may travel. 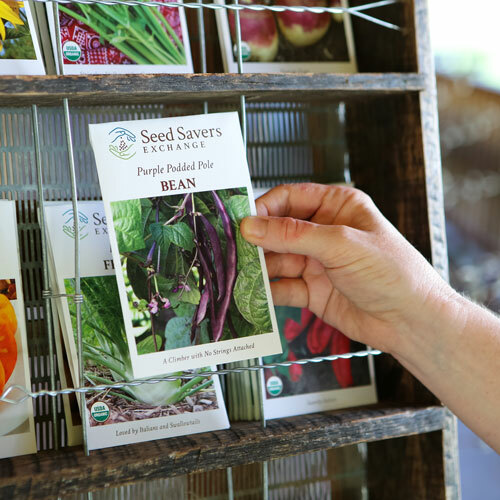 When available, commercial seed production standards are provided as a reference for seed savers working with large populations or for those gardening in areas surrounded by large-scale agricultural production. Recommended isolation distances are intended as general guidelines; each seed saver will need to experiment to find isolation distances that prove sufficient within his or her unique garden environment. For some this may be closer than the shortest distance stated, while for others the actual isolation distance required may exceed the high end of the recommendation. Increasing isolation distances will always decrease the risk of cross-pollination between varieties. The upper end of the recommended range may be a more appropriate starting place if you are planning on exchanging seeds or gardening in a setting that lacks distractions or barriers. If even the lower end of the isolation distance range is prohibitively far, other isolation strategies, such as blossom-bagging or hand-pollination, may be employed. When there is little risk tolerance - such as with the stewardship of a rare variety - isolation distances between varieties should be increased. 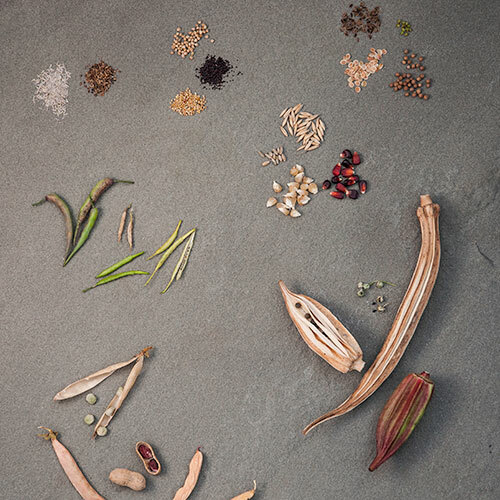 This text is adapted fromThe Seed Garden: The Art & Practice of Seed Saving by Lee Buttala and Shanyn Siegel, published by Seed Savers Exchange. 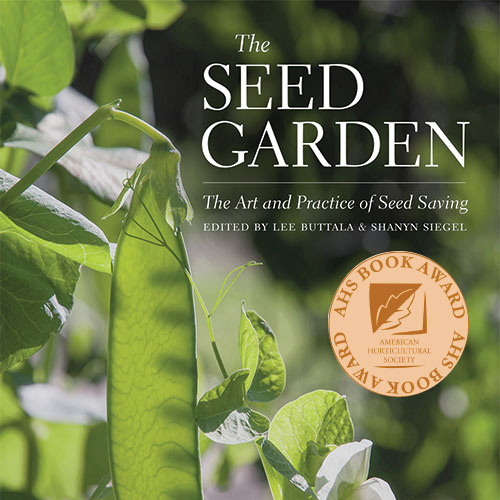 The award-winning book is a go-to resource and includes in-depth instructions, information, and advice, including crop-by-crop growing guides on the art and practice of seed saving. 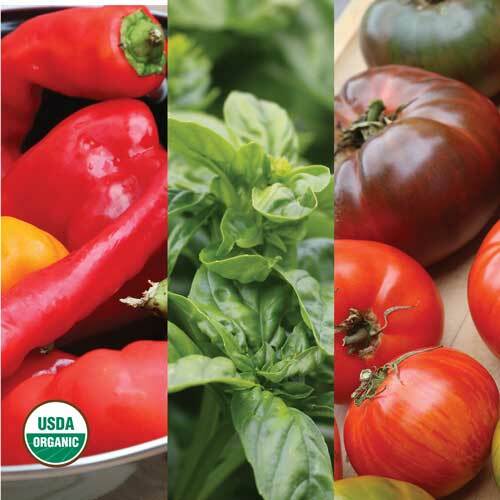 Get our crop-by-crop seed saving guide. It includes recommended isolation distances, plus other details vital for seed saving.